His Excellency the Ambassador of the Republic of Angola in the Republic of Serbia, Mr. Toko Diakenga Serao, also attended the meeting. 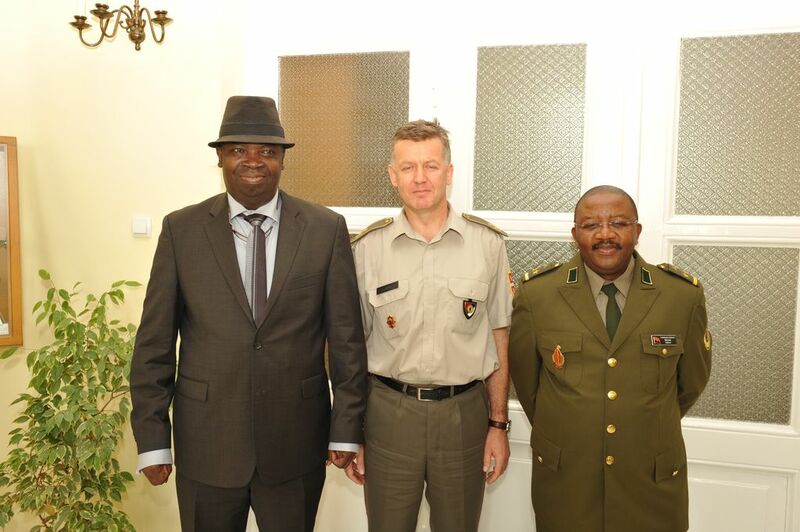 Brigadier General Slavoljub Dabić noted with satisfaction that the defense cooperation of the Republic of Angola and the Republic of Serbia, after many years of break, again experienced progress. ''The determination of the Republic of Serbia is the dynamical continuation of strengthening the strategic partnership and cooperation in the domain of defense with the Republic of Angola'', said Brigadier General Dabić. Emphasizing the importance of the continuity of meetings established at the high level, he expressed his conviction it would contribute not only to solving open issues but also to improvement of the overall relations of the two friendly countries. He wished to the newly appointed Defense Attaché a warm welcome to the Republic of Serbia and said that the Military Intelligence Agency would provide him with full support aimed at the improvement of the cooperation in the period to come. Emphasizing the understanding for the reasons which had caused the termination of the cooperation, H. E. Mr. Toko Diakenga Serao expressed his satisfaction at the fact that in the recent years the overall bilateral relations had marked the increase. Lieutenant Colonel Eduardo da Silva thanked for the reception at the Military Intelligence Agency and noted that his main task, due to which he had been appointed Defense Attaché to the Republic of Serbia, was strengthening the friendship and bilateral ties of the two countries.